This inspirational necklace will remind you to be fearless and courageous when facing those curve balls life throws at you. 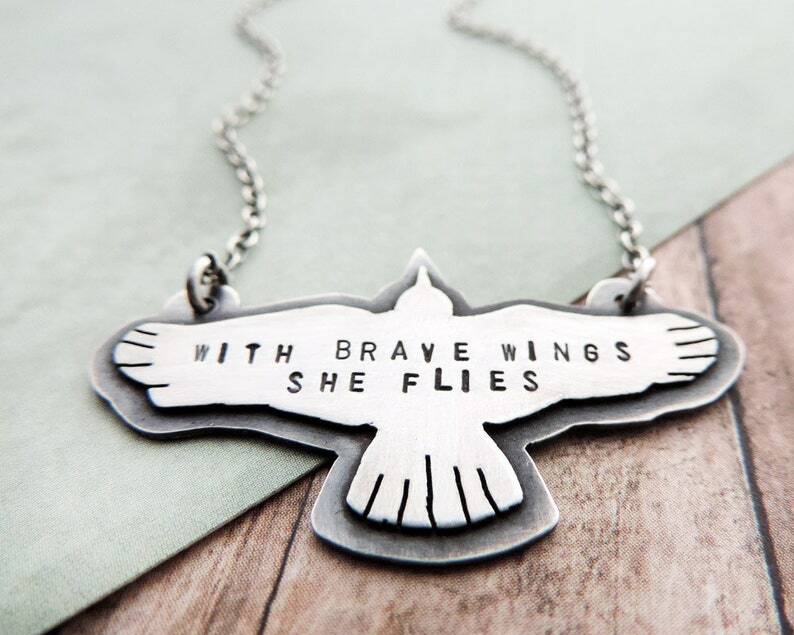 Hand cut from sterling silver sheet, this double layer bird pendant is stamped with the inspirational words "with brave wings she flies." It makes a special gift for anyone facing adversity and for those who have successfully risen above.